The Story: Cops chase counterfeiters while counterfeiters make fake stuff in big action spectacle. 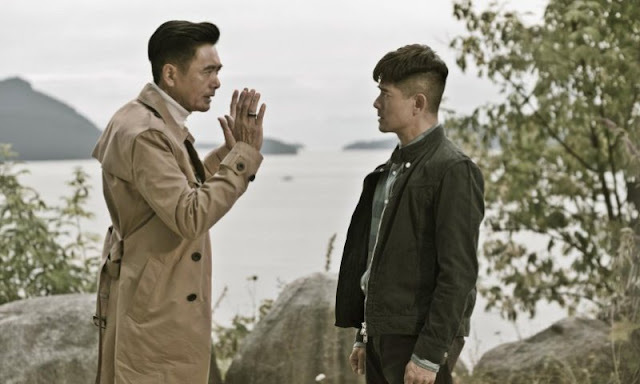 Any movie that has Chow Yun-Fat and Aaron Kwok is one you probably want to check out because they are both really good at what they do. Throw in actress Jingchu Zhang and writer/director Felix Chong and this becomes a must see movie that is overflowing with talent. 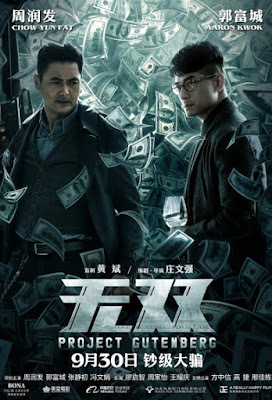 The action is non stop and the whole thing has the look and feel of the Mission Impossible series with lots of high tech gadgets, big guns, and creative stunts. The story is solid and does just enough to keep the audience interested while focusing on getting to each new action set piece in fun and creative ways. The plot is very well put together with plenty of twists and turns with a few big reveals in the third act that will surprise you. Of course, there are also crazy car chases, lots of explosions, blood splattering kills, and more than enough gun fire to go around which makes this movie ideal for watching on the big screen.